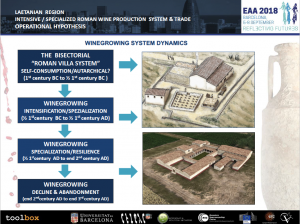 Viticulture has played an important role in the economy of the Mediterranean coast of Hispania Citerior Tarraconensis between the 1st century BC and the 3rd century AD. The vineyards, wineries and pottery workshops are usually found clustering in specific areas, such as the Laetanian region located in the northeast coast of the Iberian Peninsula. 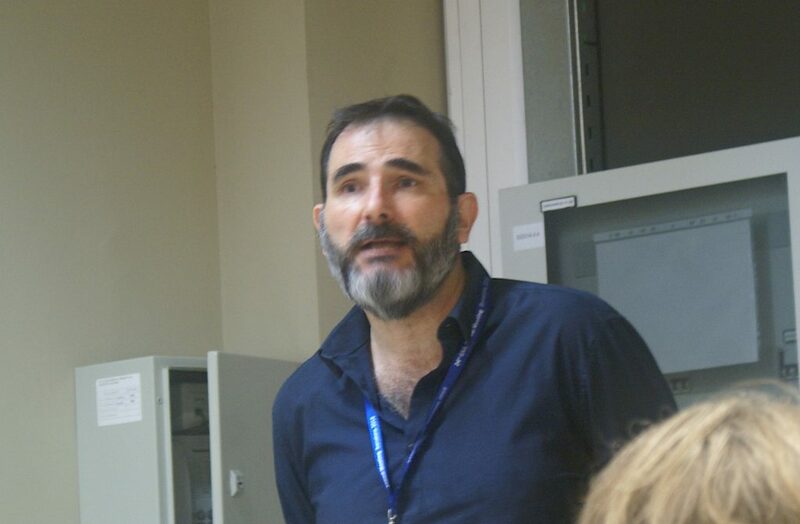 Their spatial and temporal distribution has been previously interpreted as a proof of the existence of intensive and specialized winemaking economy, associated with large-scale production & trading of wine in bulk quantities targeting predominantly to overseas markets such us Gallia, Germania & Rome itself. 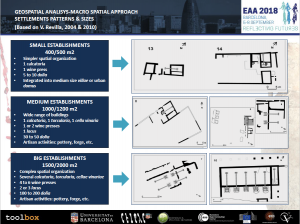 This fact is further supported by the wide geographical distribution of specific Tarraconensis amphorae forms, which appear in the record of archaeological sites throughout the western part of the Empire. 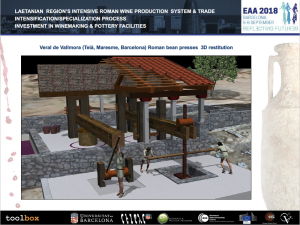 Here we present a explanatory data analysis coupled with an agent-based model simulating economic processes involved in the production, consumption and trade of the Laetanian wine. 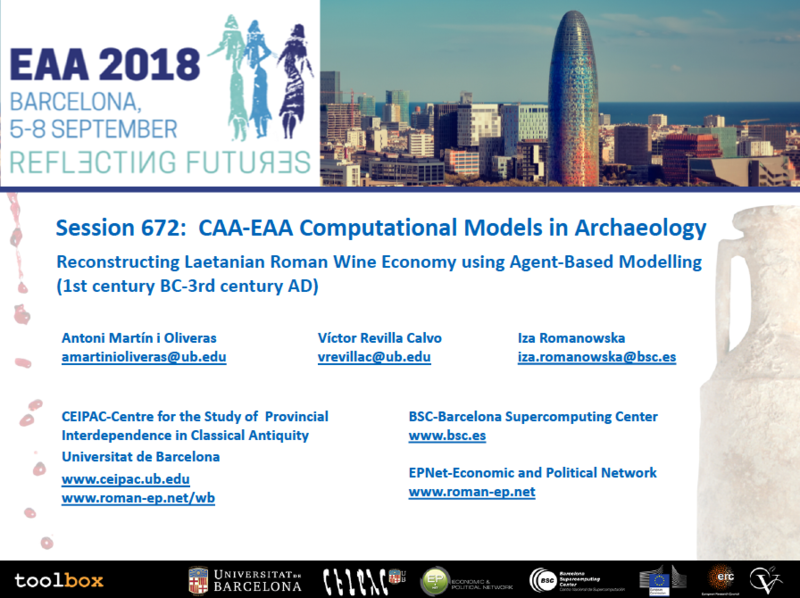 The model evaluates the strategies that this economic system could adopt in response to the competition from other provinces and the evolution of the wine consumption in the Roman society. 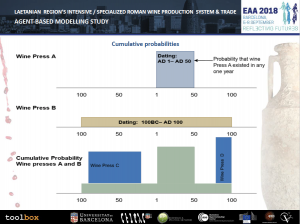 We then compare the outcomes of such strategies with two sources of data: the changing dynamics of winemaking ab origine, i.e., in the Laetanian region and the changes in the frequencies of Tarracon-ensis amphoras ad destinum, that is, in the port of Ostia (Italy).